Westmaead Hospital nursing new graduates lara Razak, Rajita Shrestha Joshi, Krista Inventor, Xue Bai, Sarah Canty , Ji Young Han, Roslyn Banks, Soo Boo, Jenna He, Soyoung Cho, Hee Min You, Phillip Watts, Lisa Phillips, Shakiera Bowman, Rebecca Rowley, Eric Vuong with director of nursing Kate Hackett. On 8 May, Westmead Hospital welcomed 46 Transition to Professional Practice nurses. The graduate nurses were among 135 positions offered at Westmead for the 2017/18 program. The purpose of the Transition to Professional Practice program is to provide a framework of support for newly registered nurses in transition and facilitate the development of critically thinking, competent, safe and effective patient-centered practitioners. 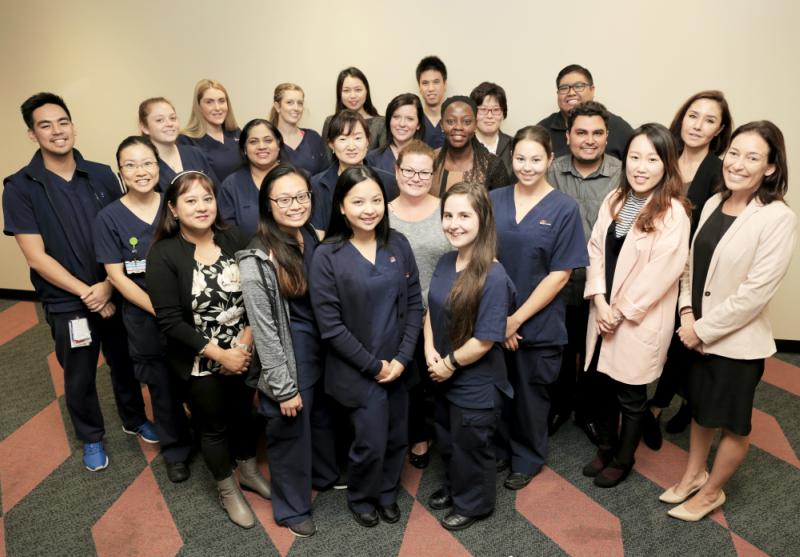 Westmead Hospital’s nursing and midwifery executive welcomed all new graduates as they embarked on their new career.